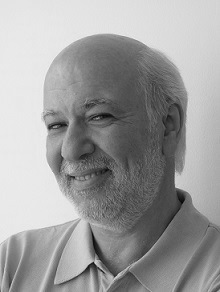 Vadim Shapiro is Bernard A. and Frances M. Weideman Professor of Mechanical Engineering and Professor of Computer Sciences at the University of Wisconsin – Madison, where he directs the Spatial Automation Laboratory. He holds Bachelor degrees in Mathematics and in Computer Science from NYU, MS in Computer Science from UCLA, and MS and PhD degrees in Mechanical Engineering from Cornell University. Prior to his academic career he was on research staff at the General Motors R&D Center. He teaches and conducts research in the areas of geometric and topological computing, digital design and manufacturing, as well as physical modeling, analysis, and simulation. He is a Fellow of ASME and his technical contributions have been recognized by a number of awards, most recently 2013 NSF INSPIRE award, 2014 ASME Design Automation Award, as well as the 2015 Pierre Bézier Award. He currently serves as the Editor in Chief of the Computer-Aided Design journal.